To start the new year off I thought it would be a good idea to get this blog a little organized. I’ve been writing this blog for over 8 years now. I’ve covered many topics and shared an abundance of stories but sometimes they get lost. When I went over the results of the survey, I noticed that I had a few requests for Newfie posts that I’ve already written so I’m dedicating this post to listing all the Newfie related articles that I’ve posted over the last 8 years so that they’ll all be in one place and easy to reference if needed. 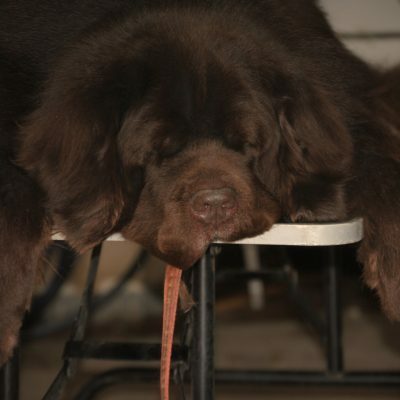 Before I list them by topic I want to make sure that everyone knows that I don’t consider myself a Newfie expert and that I’m not a breeder. I’m simply someone who loves the breed and has been lucky enough to have one in her life for the past 20 years. I learn something new all the time about this breed and I take the time to educate myself and I’ve had wonderful mentors over the years to help guide me. You’re not always going to agree with what I have to say and I’m not always going to agree with what you have to say…..but, we should both be willing to keep an open mind. I do my best to use this platform to help and educate as much as I can. It’s one small way that I can hopefully contribute to better the future of the Newfoundland breed. 10 Tips When Searching For a Newfoundland Dog Breeder. You’ve learned all there is to know about it from common health issues to grooming needs. Now it’s time to take the BIG step and find a responsible Newfoundland dog breeder. Newfoundland Buyer Be Aware. Here’s How To Spot a Puppy Mill. It all comes down to the fact that puppy mills are going to be here as long as we let them be here. If we’re giving them a reason to produce puppies they will. It’s up to us to stop giving them reasons and be responsible puppy buyers. The Two Most Important Reasons Why You Need Your Breeder’s Contact Information. I can’t imagine not being able to reach out to my breeder. We’ve been in contact ever since Sherman was 10 weeks old. everyone should be able to reach their breeder for the life of their dog. 10 Things Your Newfoundland Puppy Wants You To Know Having your first Newfoundland puppy can be one of the best times in your life. It can also be one of the most overwhelming times in your life because before you know it, this little fluff ball will take over your heart and your life. Meet The Newfoundland. 20 Fun Facts About The Newfoundland .The Newfoundland is a large, strong, devoted dog from the working class. He is a multipurpose dog that is capable of heavy work both on land and in the water. Do you know what famous people are said to of had a Newfie? 6 False Statements Commonly Made About the Newfoundland. 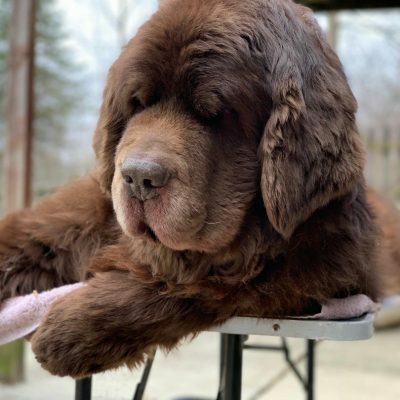 When I see articles that give false information about the Newfoundland like I stated it above, it’s no wonder that so many Newfoundlands find their way into rescue. The Lazy Newfoundland. Don’t Let The Headlines Fool You. “The Newfie, dubbed the gentle giant, requires encouragement to exercise. Actually, encouragement is probably an understatement. These dogs are so lazy that they may simply refuse to move, which is a problem when you’re talking about a 100-pound dog.” No, no and no. The Newfie requires an owner who is willing to take the time to properly exercise their dog. 10 Things That Are Very Hard To Do When You Have a Newfoundland. No matter how hard some things are with these guys, life is so much better with them in it and I wouldn’t change that for anything. Top 15 Questions Newfoundland Dog Owners Get Asked The Most. Take a Newfie out in public and your bound to wind up getting asked alot of questions! 15 Tips For Taking Great Pictures Of Your Newfie. Keep things simple and be patient. The Bigger The Newfoundland The Better. Why Bigger Is Not Always Better. You shouldn’t want a HUGE Newfoundland, you should want a healthy Newfoundland. Why Are There Black Spots On My Newfoundland’s Tongue? Does your Newfie have black spots on their tongue? There’s a very logical explanation for that. DIY Lift Harness For Large Dogs– If you need a lift harness in a pinch to help your dog up, you can easily make one using something that you probably already have at home. Bloat in Dogs. Know The Signs. Every Newfoundland owner should know the signs of this deadly condition. 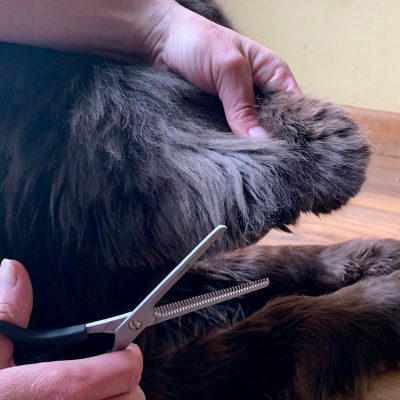 Grooming Tools For The Newfoundland Dog. A list of the most common grooming tools owners use to groom their dogs. How To Choose The Best Dog Dryer For Your Newfoundland. If you’ve taken on the task of grooming your Newfoundland or double coated breed by yourself you’ve probably read that a dog dryer is an important part of the grooming process. This post gives you a list of the most popular dog dryers used by Newfoundland owners. De-drooling. Tips On Removing Dried Drool From Your Home. Walls, floors, ceilings, baseboard, appliances and furniture. 7 Best Vacuums For Cleaning Up Pet Hair. A list made by the most trusted Newfie owners around! I’ll keep this post as a permanent page at the top of the blog so that it will be easy to find and I’ll and to it as posts are written. You can always find more information on Newfoundland by visiting the Newfoundland Club of America.